In the chaos that reigns after the fall of the Imperium, the newly reformed Panhelion is splintering, as factional squabbling pits rebellious nations against the reconstituted government. President Scott Drumond works tirelessly to unify the nations of Earth and the off-world settlements under the new Senate authority, and he’s successful... until a new evil surfaces, one that has lain dormant for two centuries. In the chaos that reigns after the fall of the Imperium, the newly reformed Panhelion is splintering, as factional squabbling pits rebellious nations against the reconstituted government. President Scott Drumond works tirelessly to unify the nations of Earth and the off-world settlements under the new Senate authority, and he’s successful…. …Until a new evil surfaces, one that has lain dormant for two centuries. Fanatical remnants of the ancient Hegemon Empire, sensing blood in the waters of the weakened Panhelion government, send their armed henchmen, the revanchists, rampaging out of the Anatolian Peninsula to spread terror and war. Worse, tentacles of this new evil reach across the galaxy to the Hyades Star Cluster, jeopardizing the tranquil planet of Niobe. Scott’s betrothed, Ariela Lavendal, Proconsul of Niobe, must now fight her own battle to protect her people from the diabolical threat out of Earth. As the forces of the Panhelion push back the revanchist army of the Hegemon, Scott’s dream of reuniting with Ariela and his daughter Evalyn on Niobe seem within his grasp. Yet events have changed the once serene Niobe. Now the Khepri aliens are once again swarming out of the Coma Berenices Star Cluster to threaten the Panhelion. Yet when Panhelion scientists crack the secret of the Khepri language and discover the true nature of the aliens, Scott learns that an even more startling and dangerous peril menaces the future of mankind. 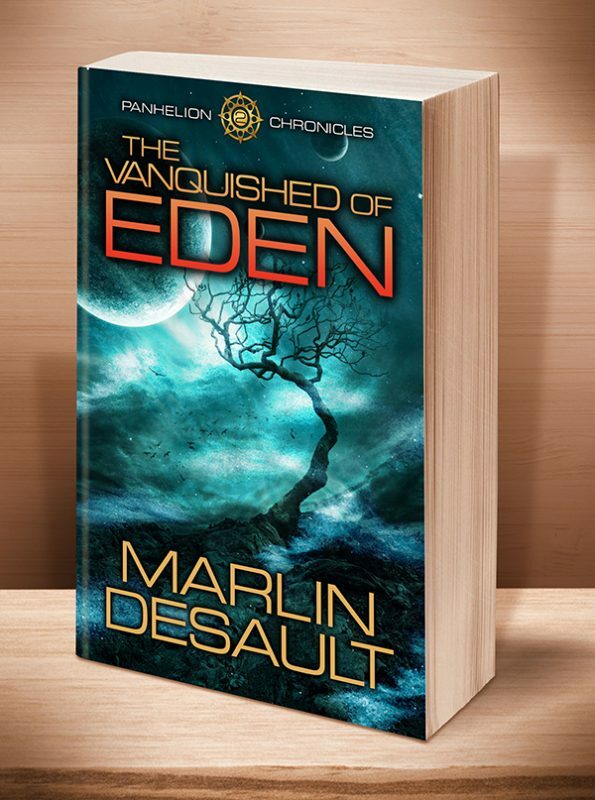 Click the BookBub button to keep informed of special deals on this book and others by Marlin Desault. Just FOLLOW him on BookBub, and be sure to BOOKMARK his books as “Wanted (Deal Alert)”–that way you won’t miss out. The complete unabridged audiobook is in production and will be coming in 2018. Please stay tuned. 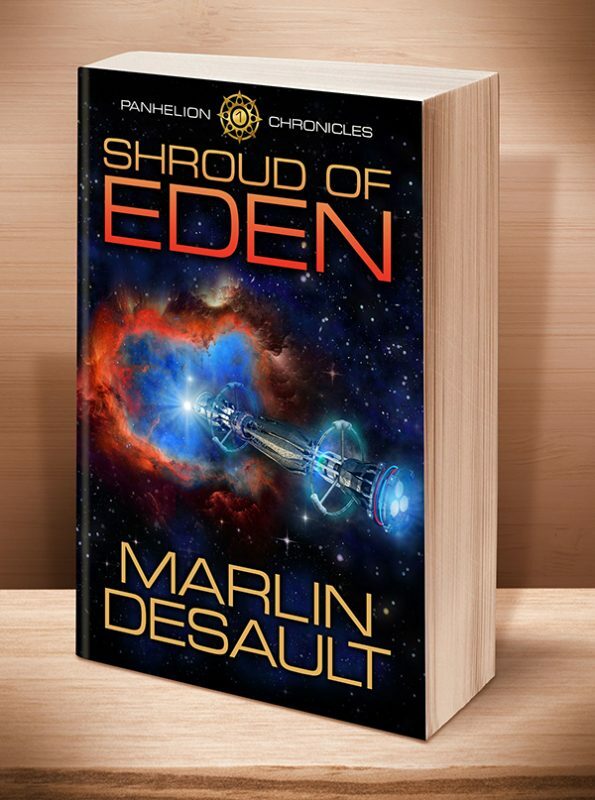 Other Books in "The Panhelion Chronicles"
This entry was posted	on Friday, September 4th, 2015 at 12:17 pm	and is filed under . You can follow any responses to this entry through the RSS 2.0 feed. Both comments and pings are currently closed.